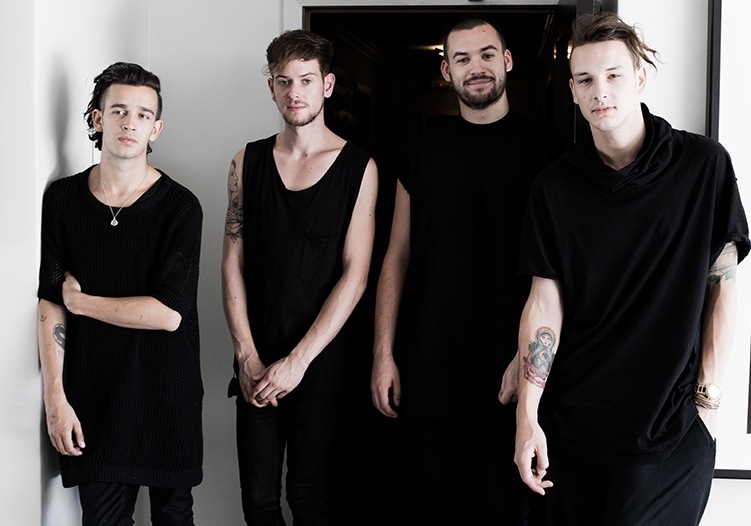 Pop-Rock Band, The 1975 Entertained 2014 Downtown Los Angeles! 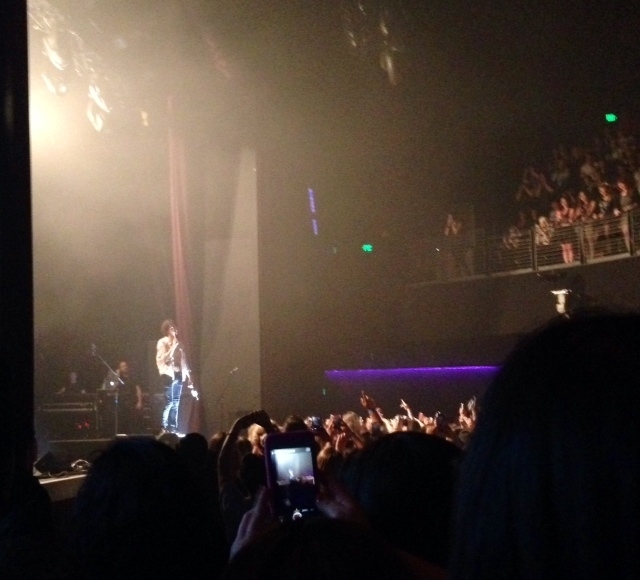 On Wednesday, April 17th, the pop-rock band, The 1975 graced the stage of the downtown venue, Club Nokia. As soon as The 1975 entered the stage at about 10:30pm, the eclectic mix of screaming teenage girls and grown up indie kids, loosened their checkered shirts and 90’s throwback attire and went ridiculously wild. Whoa, talk about a great people watching show! Seriously, I haven’t been to a show with this many people born after 1995 in a long time and I was surprised to see that this band had such a younger-end following. 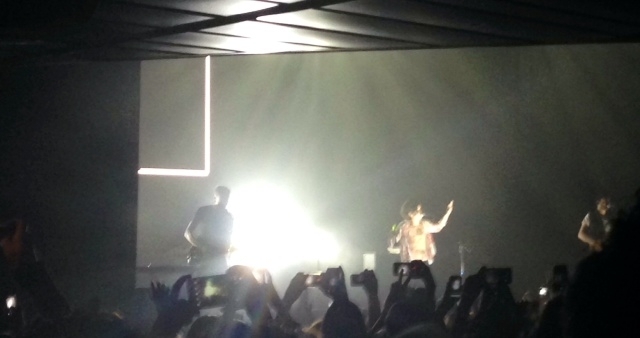 Overall, The 1975 delivered a very rehearsed set which had everyone’s attention. 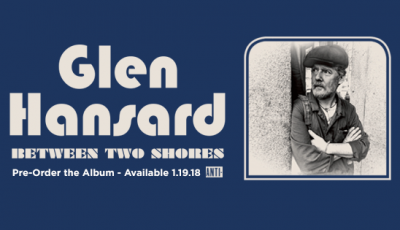 They make good old fashioned pop music. 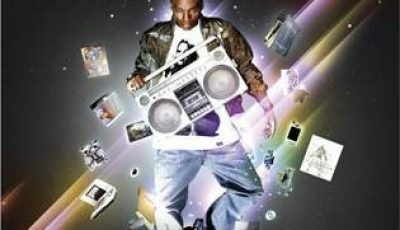 They play the kind of records you just can’t help but dance to. It’s infectious. From their song “Heart Out”, complete with jazz saxophone, to their break out hit “Chocolate”, their set was lively and the boys have enough energy between them to power a small village. I have to assume that The 1975 lead singer, Matty Healy, is what brought 90% of the youngens to the show. The heartthrob had them eating out of his hand the entire time. With his bottle of red wine and unbuttoned sheer top, he owned the stage. I couldn’t help but watch to see what he would do next. Indeed, this guy had electrifying head banging energy throughout a majority of the performance. The other members of The 1975 are Adam Hann (guitar), George Daniel (drums) and Ross MacDonald (bass) are fantastic musicians and certainly earned their place on the stage as well. Seeing The 1975 is the perfect fun night out on the town but just be prepared, you might have to fight for space with hundreds of teenage girls! Hey, they know a good thing when they see it! An Interview With Indie Newcomers, Animal Years! 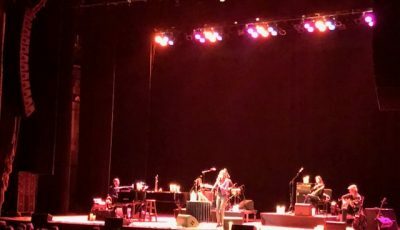 French-Italian Singer-Songwriter CARLA BRUNI Dazzles At Downtown LA’s Orpheum Theatre!